Joseph Duane Torrence, 91, passed away on Monday, April 15, 2019 at Rehabilitation Center of South Georgia. Funeral services will be held Wednesday, April 17th at 3:00 p.m. in the chapel of Albritton Funeral Directors with Joseph Torrence, Jr., officiating. Interment will follow in Oakridge cemetery. The family will receive friends Tuesday, April 16th from 6:00 to 8:00 p.m. at the funeral home. Pallbearers will be Andrew Scarborough, Hunter Scarborough, Duane Scarborough, Donald Wolfe, Joey Hartley and Terrell Hulsey. Mr. Torrence was born January 2, 1928 in Marion County, Indiana to the late Henry Torrence and Goldie Otey Torrence. 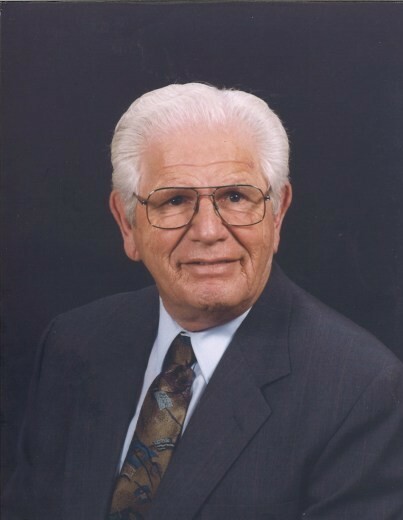 Mr. Torrence was an ordained minister and evangelist who graduated from the Apostolic Bible Institute. He loved the Lord and taught bible study at his home. Mr. Torrence was also a non-emergency medical transporter, worked at Blue Ridge Shoe Company in Tifton and worked with Tifton Aluminum for many years. He was member of Elk’s Lodge. He loved to dance, sing, play the organ and fishing. Mr. Torrence is survived by his wife Eloise Hilley Scarborough Torrence of Tifton; two daughters and son-in-law, Angie and William Lentz of Chattanooga, Tennessee and Jan Stark of Brooksville, Florida; two sons and daughters-in-law, Joseph and Debbie Torrence, Jr., of Tampa, Florida and Henry Douglas Torrence and fiancé, Melanie Posey of Cleveland, Tennessee; two step sons, Johnny Scarborough, Duane Scarborough of Tifton; grandchildren, Donna Posey, Jill Torrence, Scott Stark, Douglas Roberson, Tony Scarborough, Andrew Scarborough and Hunter Scarborough; a number of great grandchildren. Flowers accepted or donations made to favorite charity.